The use of creative paperclay has exploded over the last few years. Paperclay has even reached the Martha Stewart Living studios. Here's a video of Martha using creative paperclay to make ornaments. And here's a link to the project instructions at Chez Martha. I first heard about using creative paperclay several years ago. Many doll makers originally learned from Mary Vlasak about applying creative paperclay directly over cloth. Mary was a very creative, honest and sharing doll maker who lived in Australia. I appreciate artists who are teachers as well as creators. When I first began making cloth over clay dolls Mary Vlasak used to send cheerleading emails telling me what was good and ever so kindly telling me what I could improve. These are the kind of people we need in our lives as artists. My Izannah Walker Workshop pattern uses Creative Paperclay as the sculpting medium over a cloth doll. You can view paperclay tutorial videos I developed under the videos tab at the top of this blog. 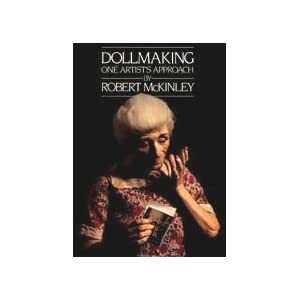 Robert McKinley was one of the pioneers of using creative paperclay. If you see any of his books or videos at a book sale snag them immediately. They aren't huge, but the instructions are so wonderful. I wish that these books and videos would be affordably reprinted for artists who are new to paperclay. Jackie Hendricks of Plain-n-Simple makes amazing Izannah Walker inspired dolls using creative paperclay in a cloth over clay technique. Michelle Syllvia of The Blackberry Briar was recently featured in the new magazine Prims. Her bird dolls and moon dolls have such an incredible spirit. Jane DesRosier started a whole group based on the phrase "Cloth and Clay Dolls." 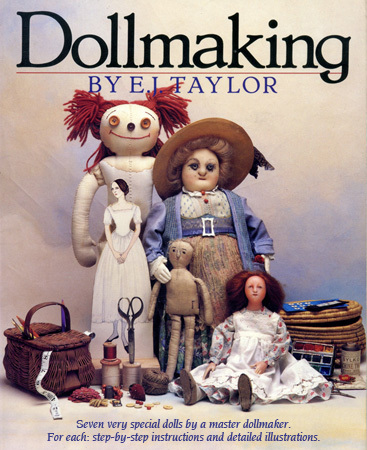 E. J. Taylor, a longstanding and outstanding doll maker uses paperclay. Other artists who excel at using paperclay? Cindi Ciampa, Rebecca Kerin of Cobbler Cottage, Deanna Hogan, Susie McMahon....the list goes on and on. This post has been a bit like a "State of Clay Nation" ;-) It's wonderful to see what people are doing with this simple and easy to use medium. Do you use paperclay? Have a tip to share? Please leave a comment. I, too, have recently joined cloth & clay. Thanks so much for all this wonderful information and links to such fabulous artists. This is incredible...Thank You for sharing this...such inspiration...which is what artists need to survive!! !